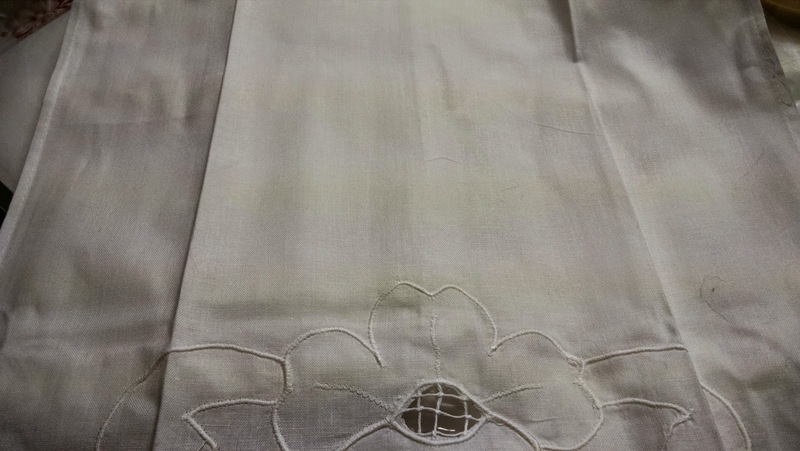 I have fallen in love with 100% cotton and 100% linen. 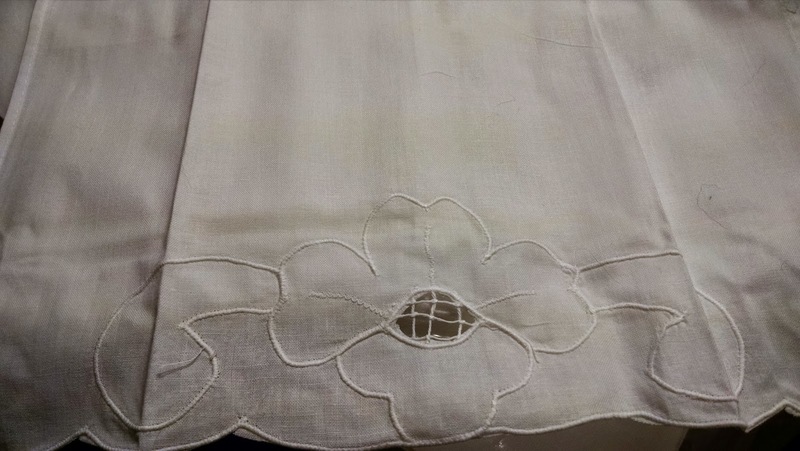 Our first shipment of Irish linen arrived yesterday. OMG! It is gorgeous. I was a bit hesitant about ordering because I have never ordered from this company before. It was a small order. You better believe I will be ordering more. Love, love, love this linen. 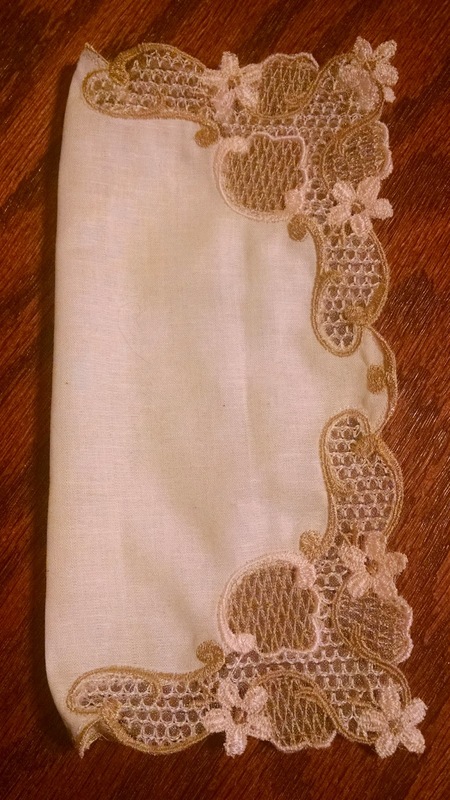 This is a baby envelope sham. It is obviously for a baby pillow. The flap part of the envelope goes on the back. 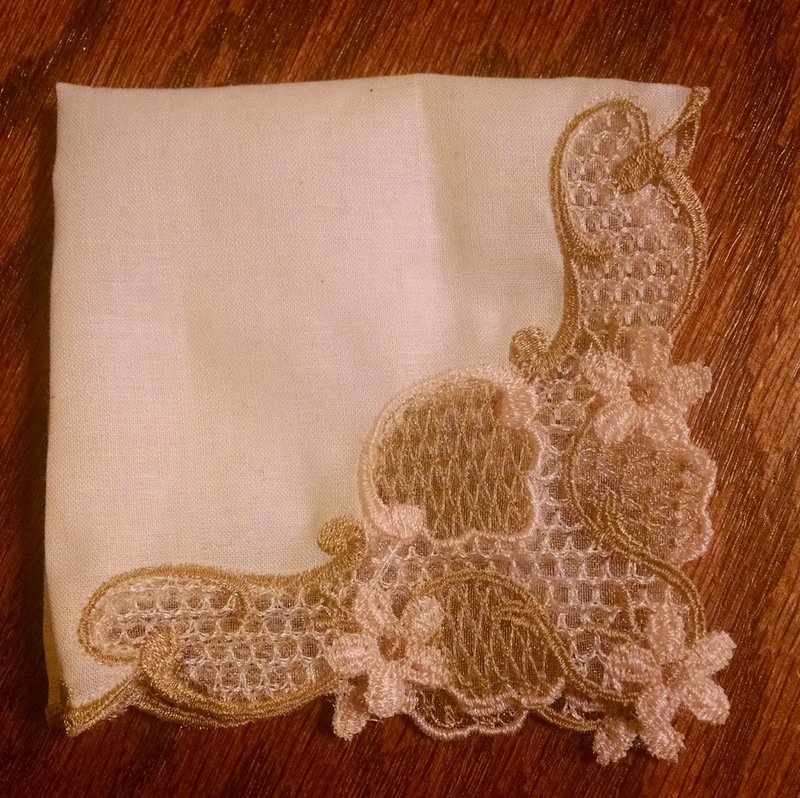 The sham comes with the beautiful embroidery shown in the photograph. That is not just embroidery, that is hand embroidery. 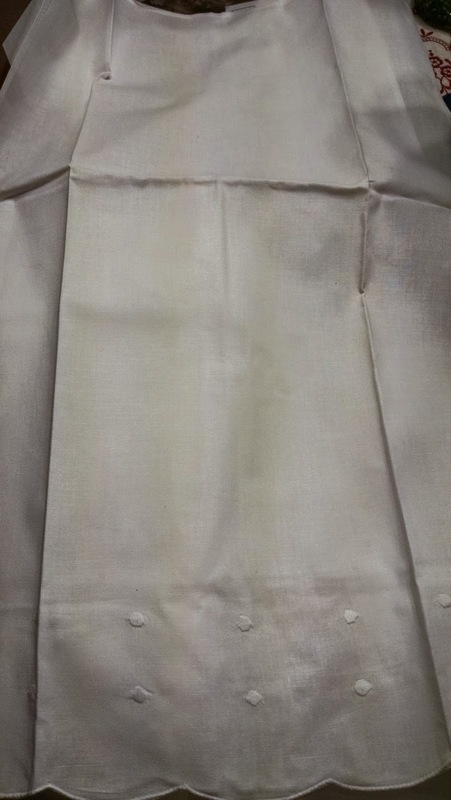 The front is plain white linen. 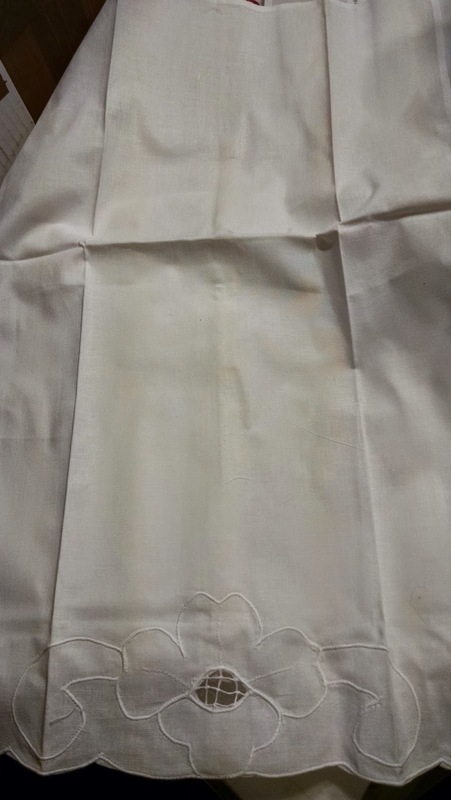 We can embroider monograms or whatever on the front if desired. I only purchased 3 of these to check the quality. 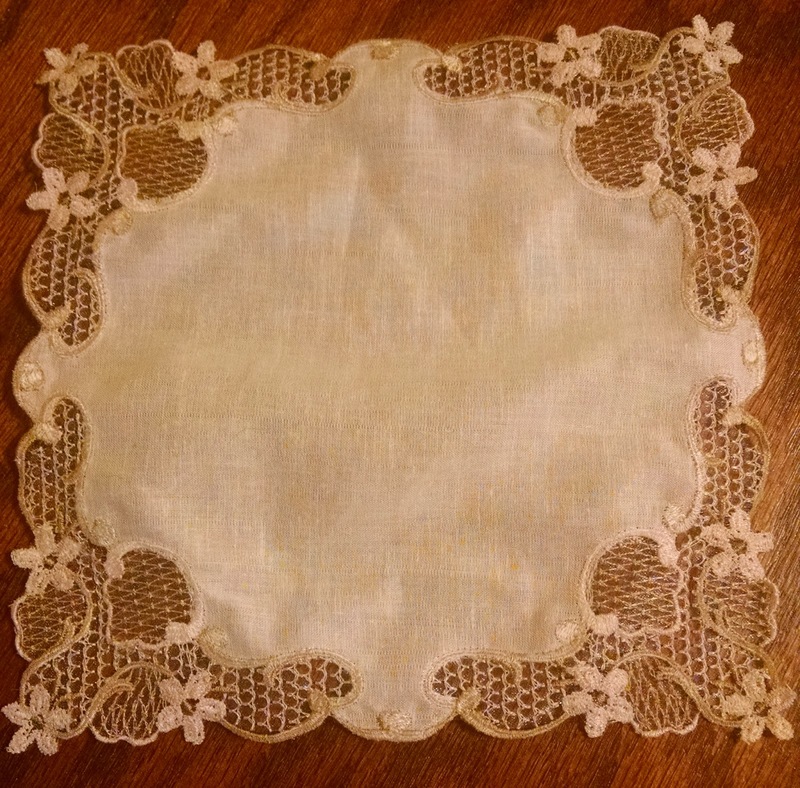 I am selling this baby sham for $10. The pillow insert is $15. And, of course, we ship within the USA and Canada. 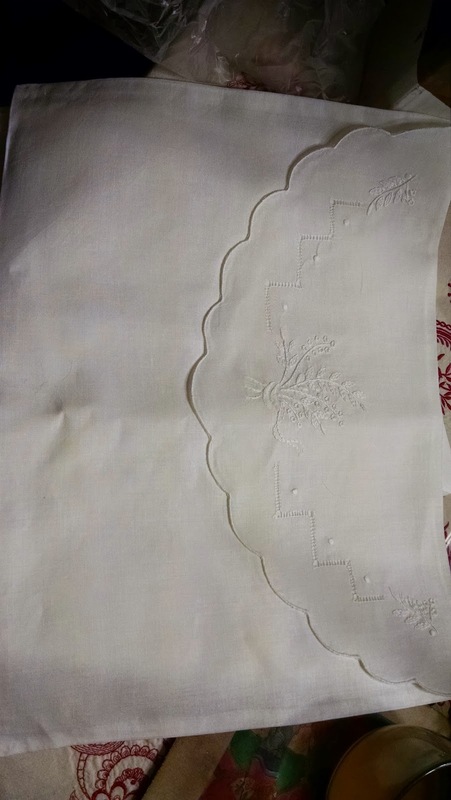 Next we purchased these beautiful white, floral, guest towels featuring cutwork. Absolutely stunning. 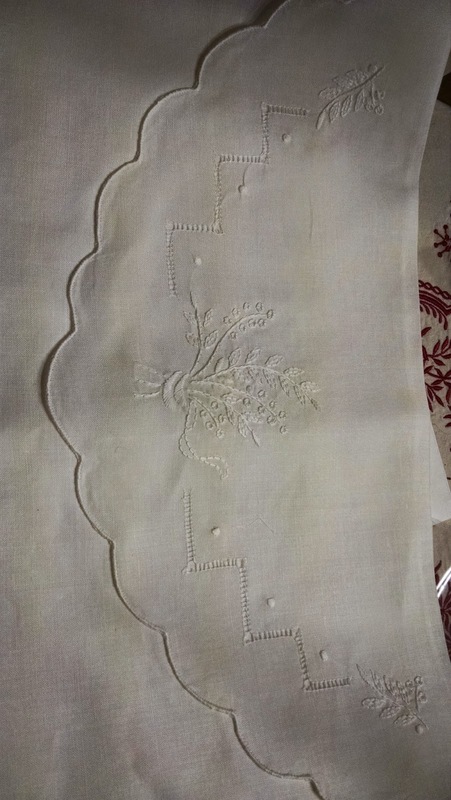 Again, 100% Irish linen and hand embroidery. We will sell this towel for $5. 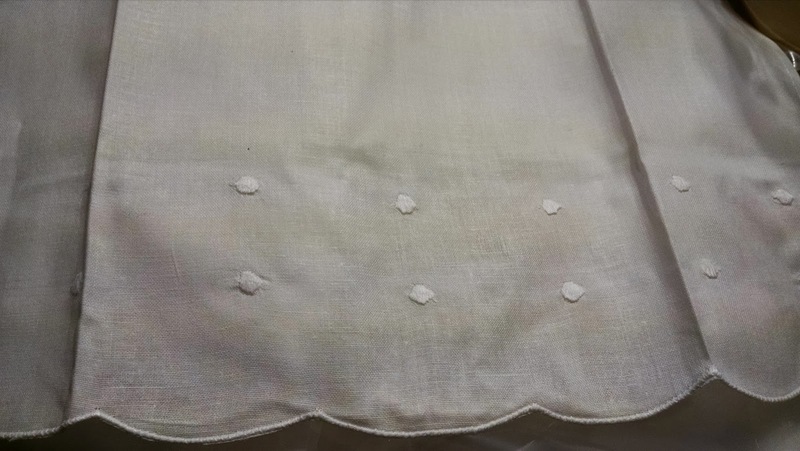 Finally, we purchased these white guest towels with the little Swiss dots, hand embroidered on 100% Irish linen. These will sell for $5 each, also. It is now 2015. Where did 2014 go? Tomorrow we are open for business and I haven't gotten everything that I needed to do done yet. I'm still working on orders and redecoratinng for Mardi Gras. Good news is that all of the Christmas decor has been taken down and put away, except for the front door. I have an idea for the front door Mardi Gras decor that I hope will be done and hung by the end of the week. The front door wreath will be a fleur de lis. I drew half of a fleur de lis on paper then cut it out for a pattern. Then I took 2 pieces of foam board, one o top of the other for 2 layers of foam board, and pinned the 1/2 fleur de lis pattern on top. A razor was used to trace the pattern and cut through the foam board. Then the foam board was placed side by side with the straight edges matching and taped together. Voila! One complete fleur de lis identical on each side. Next came the mirror mylar. Regular white glue purchased at Dollar Tree was used on the foam board. A bead of the glue was run around the edges of the foam board and then the fleur de lis was placed, glue side down, on the mirror mylar and left to dry for awhile. Then the excess mylar was cut away with the razor leaving about 1/2 to 1 inch outside the foam board. Next came the scotch tape. The edges were taped and pulled to the back of the foam board. Yes, an entire roll of tape was used. 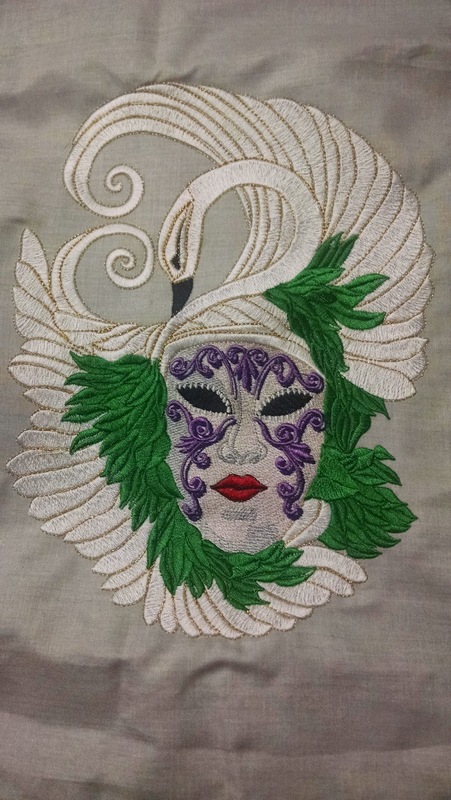 The fleur de lis was finished. Next step is to decorate the fleur de lis. 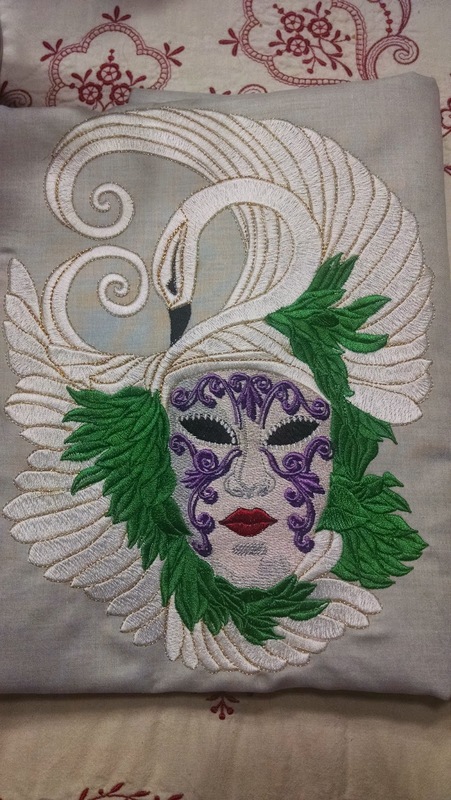 I saw a beautiful picture of a metal sculpture of a Mardi Gras mask which I digitized into embroidery and stitched out. 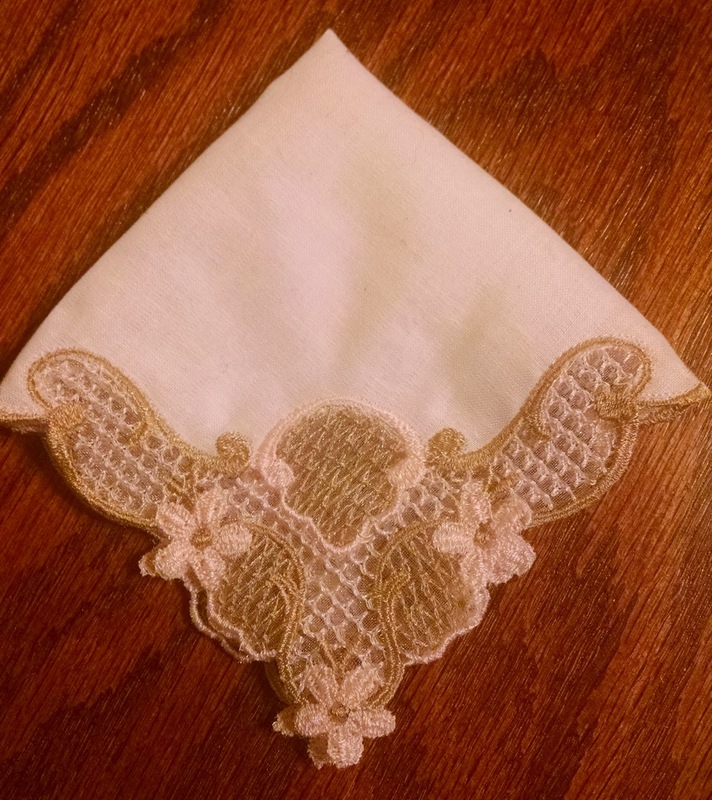 The design was then cut away from the excess fabric and glued to the enter of the fleur de lis. It is drying as I type this. 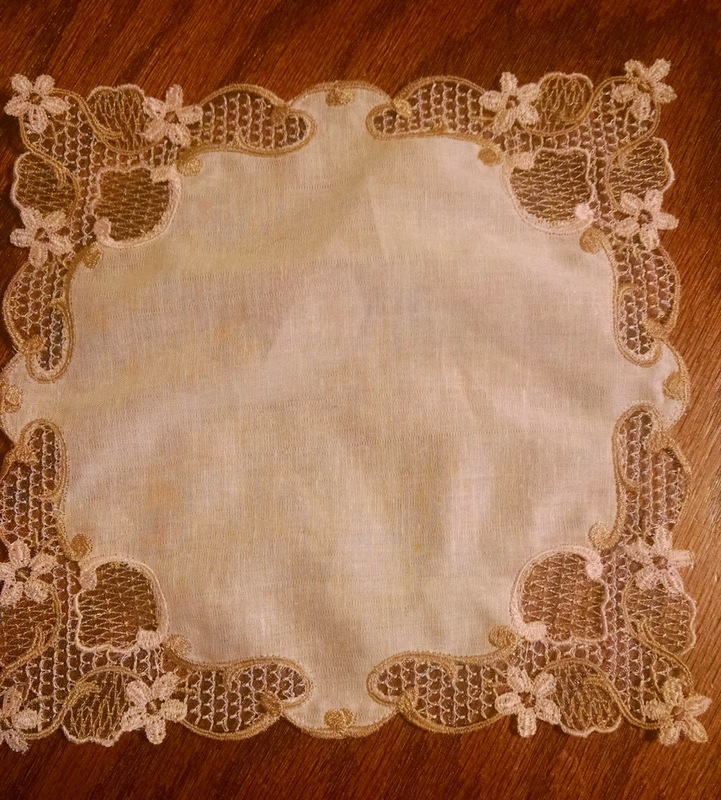 The same white glue was used to adhere the embroidery to the mirror mylar. That may work but I won't know until it dries. After the embroidery is attached to the fleur de lis, then I have to think of other decorations to make the door wreath outstanding. Certainly beads will be involved. Yes, Mardi Gras season is upon us and our first public party is this coming Saturday at Paradise Bar & Grill on Pensacola Beach. It has been a busy week between embroidery and holidays and friends popping in and out. 2015 is sure to be one fabulous year.